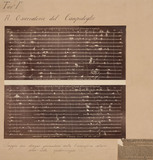 'Observatory of Collegio Romano on the church of Saint Ignazio', 1855-1878. Spectroscope with five prisms, Rome, Italy, 1876. 'Astronomical Observatory of the Collegio Romano', Rome, 1855-1878. Equatorial telescope, Palermo, Sicily, Italy, 1865. 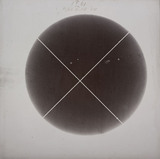 Photograph of the Sun, Richmond, London, 8 December 1861. Drawings of solar prominence on the Sun, Rome, Italy, 1869. Bowl, Romano-Egyptian, c 301-500 AD. Moxa herb and moxa stick, Chinese, 1981. Pottery lamp, Romano-Egyptian, 1st century BC-1st century AD.